Toronto, Ontario: We are pleased to announce our new Toronto Community and Latest Activity page at https://classii.com/activity/. Check it out, contribute and enjoy! Over the last four centuries, Canada’s entrepreneurs have helped to drive our economy forward, but how many of us can actually name who these individuals are or what they did? In a new book, Canada’s Entrepreneurs: From the Fur Trade to the 1929 Stock Market Crash, editors J. Andrew Ross and Andrew D. Smith, provide a stimulating overview on the history of Canadian entrepreneurship. We talk to postdoctoral fellow at the University of Guelph, J. Andrew Ross, about some of the characters that have shaped Canadian business. What inspired you to produce a book about Canadian entrepreneurs? Canada’s Entrepreneurs was born from a desire by my co-editor (Andrew D. Smith) and I to highlight the stories of individual entrepreneurs that are contained in the Dictionary of Canadian Biography. After much debate, we eventually decided to include 61 entrepreneurs in the book. Their stories highlight the immense risks taken, the importance of networks among entrepreneurs, and also the international connections that have allowed Canadians (and their predecessor peoples) to create and innovate. We hope that readers will appreciate that while entrepreneurs have experienced historically-specific challenges in doing business in North America, many of the challenges remain the same: overcoming distance, lack of capital and communication hurdles, to name just a few. What sparked the rise of entrepreneurialism in Canada? Entrepreneurs have been important in Canada long before there was a Canada in the modern sense. First Nations, the French and British traded and pursued new markets and began exploiting natural resources like furs and fish, and developed transportation and communication networks that eventually laid the groundwork for Canada to become a world-leading industrial economy. How well does Toronto produce successful entrepreneurs? Can you give us examples of some noteworthy entrepreneurs to come out of Toronto? Many of the entrepreneurs featured in the book are from Toronto, particularly from the last half of the nineteenth century, when the city began to challenge Montreal’s dominance over the Canadian economy. In this era, we see the creation of businesses that would dominate the Canadian business landscape, like Timothy Eaton’s department stores, Peter Larkin’s Salada Tea Company and George Cox’ Canada Life Insurance, to name only a few. The Dictionarycarries many more articles on Toronto entrepreneurs, and if we had moved beyond 1929 we could have included others like George Gooderham, whose legacy stretches into the 21stcentury — through his mansion at Bloor and St George that houses the York Club, and through his business, which is gone but is the foundation for the 21st century revitalization of the Distillery District. In the book, you mention the conspicuous role that the government played in Canadian entrepreneurial activity. Can you expand on this point and perhaps provide an example? Government and the state have always been important to Canadian business. Under the French regime, individual entrepreneurs were actually discouraged in favour of state-sponsored monopolies. The English followed the same model, giving the Hudson Bay Company exclusive rights to trade furs in Rupert’s Land (much of what became northern and western Canada). This became a point of friction with those individuals who tried to operate independently. As the British North American colonies became more independent, their governments saw the importance of spurring economic development to compete with the United States, they rewarded entrepreneurial endeavor with subsidies and state support, especially to build transportation infrastructure like railways and canals. Canadian governments were also in the forefront of using arm’s length agencies like crown corporations to achieve social and economic goals. One of the best examples was Ontario Hydro, which we see as a wonderful example of so-called “public” entrepreneurship by Sir Adam Beck, who promoted a public ownership business model for wider social gain, and not just personal or corporate profit. Do you think the story of Canadian entrepreneurship is a story of success, particularly when compared to other countries? Yes, we do. Canadians evince the insecurities of the small nation and feel that we are not innovative enough, but there has been no shortage of entrepreneurial spirit. And we are of course small in comparison to the largest economy the world has ever seen, right next door. Creating a global top-ten economy required a lot of enterprise, and is nothing to feel insecure about! That said, there have been persistent issues that Canadians have been right to pay attention to, including our dependence on natural resources, the extensive international ownership of our businesses and our lack of national champions. These are issues we have to keep foremost in mind in continuing innovation into the 21st century. Which Canadian entrepreneur do you admire most and why? It’s hard to pick any one person, of course, and there is much to admire (and also to dislike!) about many entrepreneurs, but the kind of person we were keen to include was not just the household names, like the Labatts or Eatons, but also some of the smaller entrepreneurs and those who had special challenges: men like Chang Toy, a Chinese immigrant who started as a contract labourer but eventually ran a successful wholesale business in Vancouver in an era in which anti-Chinese sentiment was rampant; or women like Ellen Cashman (“Irish Nellie”), who had a serious case of mining fever and traveled the continent from Tombstone, Arizona, to the Klondike setting up all manner of businesses — boarding houses, restaurants, a grocery, a boot and shoe store — to give her the resources to pan for gold. Her energy extended beyond business, and she helped establish hospitals, churches and schools in every town she did business in. Aside from their enterprise, this concern for community and country was quite typical of Canadian entrepreneurs and shows how Canadian entrepreneurship was not just about profits, but also about people. Join J. Andrew Ross in a discussion about his book “Canada’s Entrepreneurs: From the Fur Trade to the 1929 Stock Market Crash” on Thursday, 26th January from 5 -7p.m. at the Rotman School of Management on 105 St. George Street. SÃ­le Cleary writes about architecture for the Toronto Standard. AN EVENT DESIGNED TO ELEVATE TORONTO AREA BUSINESS LEADERS! The Toronto Entrepreneurs Conference & Tradeshow (#TECONF) has been designed to provide Toronto Area Entrepreneurs, whether budding or experienced, with the opportunity to expand their professional network, hear from experienced and successful entrepreneurs on tips and opportunities and learn what it takes to become successful and stay thriving. Economic growth in Ontario has lagged Canada since 2003, reducing the province to ‘have-not’ status within Confederation. One theme that runs throughout the paper’s analysis is the persistent weakness of Ontario’s manufacturing sector, where output has fallen in absolute terms since the recession that began nearly a decade ago. Given that manufacturing is still Ontario’s third largest industry, it is critical that its health be restored if the Ontario economy is to fully recover and prosper. Manufacturing has recovered in other provinces in Canada, notably Quebec despite the well-documented woes of Bombardier. Manufacturing has become a larger share of Quebec’s economy than of Ontario’s, partly a reflection of how manufacturing has shrunk from 21.7% of Ontario’s economy in 2002 to 12.1% in 2015. This suggests manufacturing’s problems in Ontario cannot be blamed on global factors such as US export demand or the exchange rate, but are something specific to Ontario. The paper finds that the high cost of doing business in Ontario is the main drag on growth. These costs include everything from high electricity rates, the rising cost of labour and high income taxes to the indirect cost of a heavy regulatory burden. In particular, energy-intensive manufacturing has fared much better in Quebec than in Ontario in recent years, helped by Quebec’s much lower electricity prices. As a result of the high costs in Ontario, the temporary weakness that inevitably accompanied the 2008/09 recession has become chronically weak growth. Sluggish growth has erased Ontario’s historically lower unemployment rate than in neighbouring Quebec, a province long known for extensive government intervention in the economy and large government debts. More broadly, business investment in manufacturing and elsewhere has languished during the recovery. Overall, investment plans are for $50.9 billion in 2017, compared with their pre-recession peak of $53.8 billion. Most of this reluctance to invest originates in the manufacturing industry. This reflects a number of factors. While the automobile industry has retooled its existing plants, no new plants have opened since 2009 while existing capacity continues to be shuttered, with another line scheduled to close this summer. Investment has fallen even more in other industries ranging from petroleum refining to lumber, computers and electronics, and rubber and plastics. Chronically weak growth in manufacturing has left Ontario increasingly dependent on housing, which has contributed over 29% of its income growth in the past year, even before a spike in housing starts and prices early in 2016. Besides a sharp increase in housing starts in Toronto, there has also been a marked shift from the building of single-family homes to multiple-unit dwellings, mostly apartment and condominium buildings. The squeeze on the supply of single-family homes, partly the result of land use regulations, helped fuel the surge in their prices. At the same time, the increased supply of multiple units is threatened by the extension of rent controls by the provincial government. With a growing chorus of analysts and the federal government warning that a possible bubble in Toronto’s housing market risks deflating, this leaves Ontario precariously dependent on a potentially unstable and unsustainable source of growth. A correction in the Toronto housing market would leave both Ontario’s economy and government fiscal projections vulnerable to a downward revision. A law firm founded in 1856 may not be the first thing that comes to mind when thinking about tech innovation, but Toronto-born Blakes wants to change that perception. 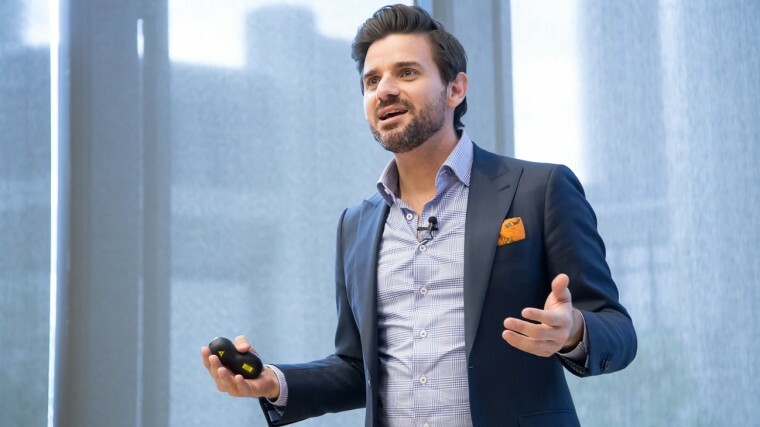 It’s why Blakes decided to bring on Michael Hyatt as its first-ever entrepreneur-in-residence, which will be a credibility boost to the firm that launched its Nitro program for startups in June. The Nitro program — which currently has 21 startups — earmarks $1 million in legal services from senior lawyers, which is key for startups that are often overwhelmed by building their products. With two exits behind him — his most recent being his $400 million sale of BlueCat — Hyatt will be able to add an extra layer of mentorship to the program. He’ll also act as an advisor to Blakes on running the Nitro program effectively. For Blakes, Nitro is an opportunity to stay ahead of emerging technologies and business models as they unfold; Nitro program founder and Blakes partner Christine Ing identifies blockchain as a particular area of interest because of inroads with smart contracts. At the same time, working closely with startups enables the firm to see where they can improve their own operational inefficiencies using tech like AI. “These areas will certainly require changes to the law as regulatory changes will be required, and it just means a lot of new thinking, and new paradigms to consider. In terms of practice of law, AI tools will be the ones that we will need to look at in-depth early and adopt into our own practice,” said Ing. Ulula, one of the first startups to join the program, recently closed a $1 million seed round and suggests that the program is set up to keep up with the fast pace of startup growth. “As a startup, nimbleness is a critical advantage. Even though Blakes is not a startup like Ulula, my co-founder and I could still find the agility we need from the Nitro program because it’s built for startups and run by people who have lived startup experience,” said Manu Kabahizi, co-founder and CTO of Ulula. While the program is currently only open to startups in Toronto and Waterloo, the firm plans to expand to another market, though Ing declined to share specifics. Moving forward, both Ing and Hyatt express optimism for a program that fills an underserved gap in a startup’s journey. There’s an entrepreneur in Toronto who’s really into underwear, and its paid off nicely for her. She started Knixwear when she returned to Toronto in July 2012 and in the last few years has experienced a few nice wins. The first one came when Hudson’s Bay company elected to pick up her first line of underwear after the first of two Indiegogo crowdfunding campaigns. Over 18 stores started selling the product, which Griffiths said was the first time something like that had happened based on a crowdfunding campaign. The momentum from the first Indiegogo campaign saw the company receive significant media exposure in the U.S, leading to a popular athletic spandex company approaching Griffiths to co-produce a new line of absorbent underwear geared towards athletes. Together with LYCRA the pair of brands developed the FitKnix line. “We did our second indiegogo campaign through that and then again we had a retailer buy our line through the campaign, this time a US retailer called Barenecessities.com, the biggest online etailor for women’s fashion in the US,” said Griffiths. She recently wrapped up a filming on the CBC show Dragons’ Den and she won’t find out for a while whether the segment will go on tv. By the end of June KnixWear will be sold in 140 retail stores. I also wondered aloud if her product might appeal to the guys. Toronto businesses that closed in October encompassed both longtime fixtures in the city (that will hopefully live on as different incarnations of themselves) and slightly less established places that will still be missed. Here are the most notable Toronto businesses that closed in October. Despite promises of property tax relief for small businesses along Yonge St., the longstanding Yonge St. hair salon packed up shop in early October. Having opened a little over two years ago in brunch-heavy Leslieville, this Queen East cafe closed with no warning or explanation. Another Leslieville spot – a shop specializing in cold-pressed juices –also shuttered last month (along with its second location in the Financial District’s PATH), after nine years in business. This beloved hidden hangout in the Annex has lived many lives, and it lives on again where Crown and Tiger once was on College St. in Little Italy, but the funky back-alley space it once occupied deserves its own proper RIP. The one highlight of the depressing subterranean Shops at Aura at Yonge & Gerrard closed at the end of October. But there’s still hope for fans of this popular mom-and-pop fast-food stall’s made-from-scratch Japanese curry – it’s currently looking for a new location. After 18 years in the Entertainment District, this chain restaurant at John & Richmond shut its doors so as not to compete with its sibling location at Yonge & Dundas. A classic place to drink and dine on Toronto Island, the Rectory boasted a lovely lakeside patio. Its owners decided not to renew their lease and had their final day of service on October 15. The business was put up for sale, so there’s still a good chance it will be reincarnated in some form next year. This Miami-inspired, queer-friendly bar and vegan brunch joint in Bloorcourt opened in 2013 and closed on Halloween. The space has since been sold to an unknown buyer.